Marketing News. AMA Collegiate Members receive eight print issues annually, and can access all 26 issues and archives online. MarketingPower.com and the AMA Member Resource Center. Providing the kind of marketing information you can access every day. Collegiate Connection. This quarterly newsletter features articles from recent college graduates, industry updates, career development information, and chapter management articles and tips. Available to members online. AMA Career Center. Job postings, resume assistance, helpful articles. You can find this and more in the Career Center. The College of Business Student Advisory Board is comprised of students representing various majors within the College of Business. The purpose of the Board is to provide student feedback to the Dean on current College of Business issues, aid in the selection process of various awards, and improve student services provided by the College of Business. Each year at least one representative from the Student Advisory Board is selected to sit on the College of Business Executive Advisory Board, which is made up of top executives from the Chicagoland area. Join Delta Sigma Pi, the national fraternity for business students and professionals, with more than 250 active chapters across the country. Zeta Xi, the Lewis chapter, provides students with great opportunities for networking, social activities and community service. You will form lifelong friendships with your business colleagues. For more information contact Robert Bergman or visit www.dspnet.org. Build friendships and hone your investing skills at Lewis University's Student Investment Club. 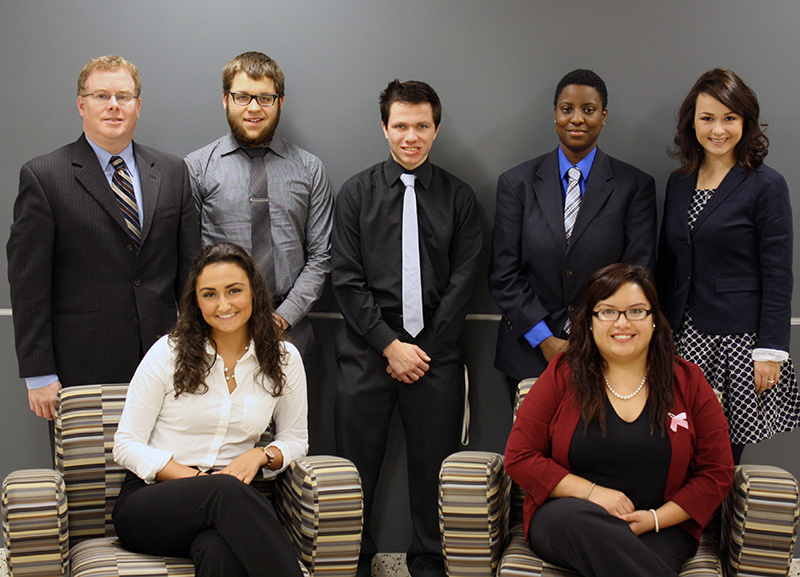 Founded in 2006, the Student Investment Club enables membership to manage a portion of the University's endowment fund. The ISACA-Lewis University Student Organization is dedicated to providing student members greater career insight and networking opportunities in the areas of Cybersecurity, information systems, information security risk optimization, IT audit and governance and compliance of computing systems. The organization is recognized by ISACA International and supported by the local ISACA Chicago chapter. ISACA publishes a widely-used industry framework for IT and Information Security governance called COBIT, administers popular professional certifications Cybersecurity Nexus Fundamentals (CSX), CISA (Certified Information Systems Auditor) and CISM (Certified Information Security Manager), is headquartered in Rolling Meadows, Illinois, and has approximately 110,000 members worldwide and 204 chapters in 86 countries. Develop relationships and provide networking opportunities between Lewis students and IT and Information security professionals. Supplement classroom learning with greater career insight by inviting guest speakers and by interacting with professionals at events sponsored by ISACA-Chicago. Provide knowledge and experience to put students far ahead of the competition when it comes time to begin their careers. Help students with scholarships, internships and career opportunities. To keep students abreast of local, national and international current events in IT, cybersecurity threats, exploits and controls. Provide a supportive environment that encourages and trains students to participate in cybersecurity and computing systems competitions.